CLARK COUNTY — The demise of the Columbia River Crossing project undoubtedly set the future of a new Interstate Bridge on I-5 back several years, at least. In the five years since that project stalled out, costing taxpayers over $170 million, traffic congestion has grown steadily worse, especially for the thousands who call Clark County home, but work in Oregon. Now efforts are underway, on the Washington side of the Columbia River anyway, to revive the conversation over what to do with the 100-year old I-5 bridge. Last week, Vancouver City Council members approved a resolution stating their support for a new bridge project. In that statement, mass transit would be a key component of any bridge, including the possible extension of Light Rail into Clark County. At their council time meeting this week, the Clark County councilors debated their own version of that resolution, but struggled to find consensus on the language around mass transit, as well as whether tolls should be used to help fund a bridge replacement. While language in the bill says the county supports a fiscally responsible project that considers the economic impact on Clark County families, it doesn’t explicitly come out against the idea of implementing tolls. Councilor Julie Olson countered that getting into the weeds on such details is premature at this point, since this is just a resolution to express to the governor’s office the importance of the I-5 Bridge project to the future of the region. “We’re not talking about a project here. There’s not a project identified,” said Olson. Stewart, who was a Vancouver city councilor when the Columbia River Crossing project was imploding, responded that ambiguous language at this stage can lead to problems down the road. In terms of adding mass transit capacity to the new bridge, all the council members agreed that it should be there in some respect, but most believe that C-TRAN’s new Bus Rapid Transit (BRT) service would be a more cost-effective solution to spending billions bringing Light Rail over from Portland. “The Oregon side believes that the remedy for congestion is that you don’t go there in a car,” Stewart said. Councilor Eileen Quiring agreed, saying a dedicated BRT lane on the new bridge could represent a significant cost-savings that could be used elsewhere in the project. 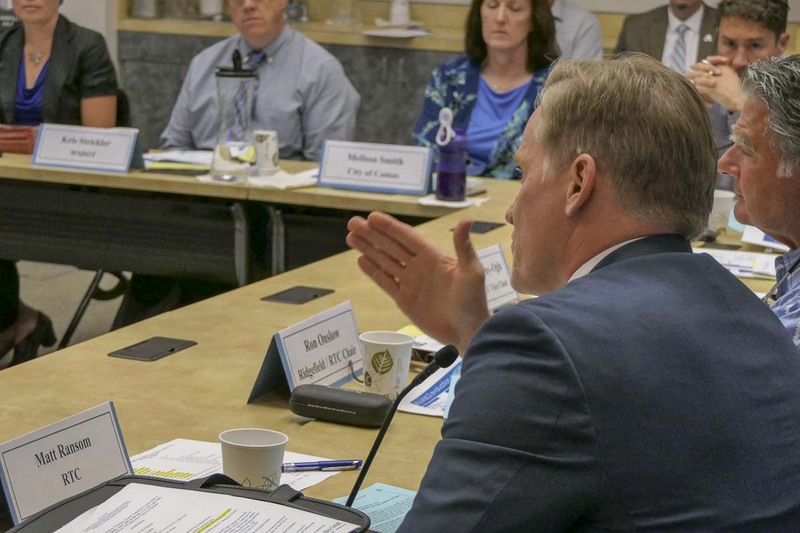 On Tuesday, the I-5 Bridge resolution was a topic at the monthly Southwest Washington Regional Transportation Council (RTC) meeting, which Quiring and Stewart sit on. It is co-chaired by Vancouver Mayor Anne McEnerny-Ogle, who said their resolution was intentionally vague. 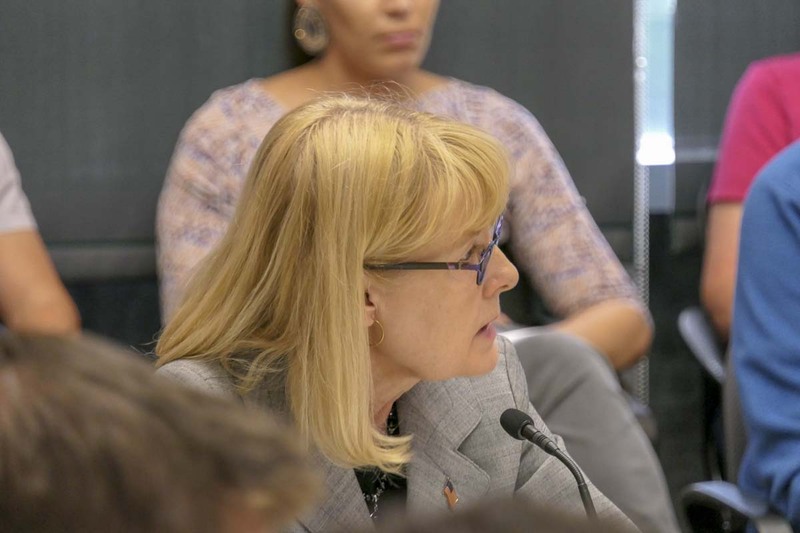 Rep. Vicki Kraft, of the 17th District, also said it’s her opinion that emphasizing mass transit in the project is a waste of money, considering C-TRAN’s express service currently only carries around 1,500 passengers a day to and from Oregon. Stewart shared the same concern, that the resolution RTC was considering adopting spent a lot of language talking about the need for mass transit, and little about addressing existing congestion through adding vehicle lanes. Carly Francis, Regional Planning Director for Washington’s Department of Transportation (WSDOT), said the conversation around mass transit is likely to be different this time around, because C-TRAN’s Bus Rapid Transit service wasn’t around during the ill-fated CRC project. “And so I think being open to those possibilities makes a lot of sense right now, just to look at what the data says for what reliability can be provided through those transit options looking forward,” said Francis. The RTC meeting ended with some confusion as Third Bridge Now advocate Sharon Nassett yelled that Director Matt Ransom was lying about the I-5 bridge project, and some commission members expressed confusion over what they had actually just voted for. Ultimately, the commission moved the resolution, as written, to their next meeting in October for more discussion and a possible vote to approve it. As for the Clark County Council’s I-5 Bridge Resolution, no date has been set for a final vote. The city of La Center is scheduled to vote on a resolution supporting the project at their council meeting next week.